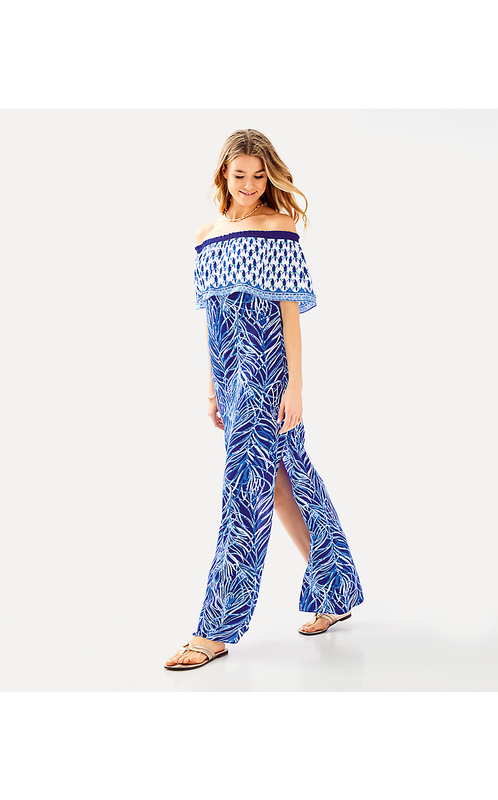 Easy Fit, Engineered, Off The Shoulder Maxi With Bodice Flounce And Side Slits. Island Satin – Print (100% Polyester). 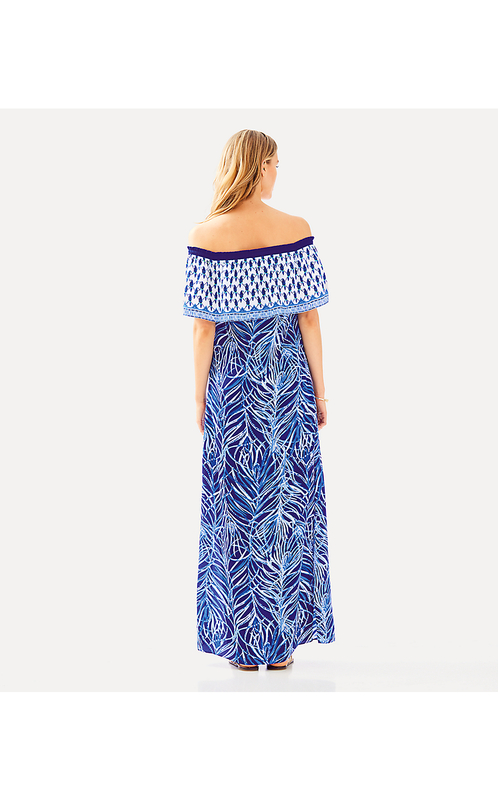 The maxi dress of your dreams has come to life. Meet the Alicia Maxi Dress. 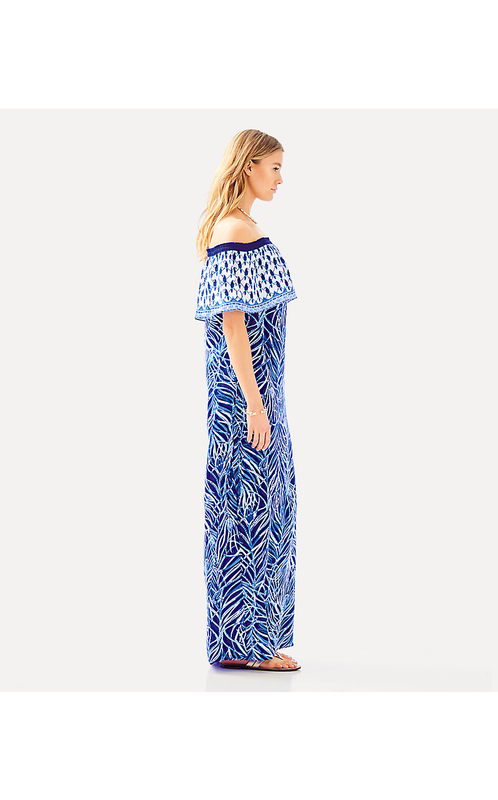 Covered in an engineered print with an off the shoulder neckline, this maxi will be your new go to for any special occasion day and night.